Born Mary Fernandes in Tasmania, Bell married an RAAF officer in 1923 and obtained a pilot's licence in 1927. Given temporary command of the WAAAF on its formation in 1941, she was passed over as its inaugural Director in favour of corporate executive Clare Stevenson. Bell refused the post of Deputy Director and resigned, but subsequently rejoined and served until the final months of the war. She and her husband later became farmers. Nicknamed "Paddy",  Mary Bell died in 1979, aged seventy-five. Clare Grant Stevenson, AM, MBE was the inaugural Director of the Women's Auxiliary Australian Air Force (WAAAF), from May 1941 to March 1946. As such, she was described in 2001 as "the most significant woman in the history of the Air Force". Formed as a branch of the Royal Australian Air Force (RAAF) in March 1941, the WAAAF was the first and largest uniformed women's service in Australia during World War II, numbering more than 18,000 members by late 1944 and making up over thirty per cent of RAAF ground staff. Launceston Church Grammar School is an Anglican co-educational private school in Launceston, Tasmania, Australia for Early Learning through to Grade 12. Brisbane is the capital of and the most populated city in the Australian state of Queensland, and the third most populous city in Australia. Brisbane's metropolitan area has a population of 2 million, and the South East Queensland region, centred on Brisbane, encompasses a population of more than 3 million. The Brisbane central business district stands on the historic European settlement and is situated inside a peninsula of the Brisbane River, about 15 kilometres from its mouth at Moreton Bay. The metropolitan area extends in all directions along the floodplain of the Brisbane River Valley between Moreton Bay and the Great Dividing Range, sprawling across several of Australia's most populous local government areas (LGAs)—most centrally the City of Brisbane, which is by far the most populous LGA in the nation. The demonym of Brisbane is "Brisbanite" or "Brisbanian". Keith Allison Virtue MBE was a pioneer Australian aviator. Sir Lawrence Wackett, in the Foreword of Keith Virtue's biography, writes that he was an experienced airman himself but he marvelled at the ability and skill of Keith Virtue and counts him as one of the greatest of the Australians who devoted their life's work to the task of pioneering airlines in Australia. The Women's National Emergency Legion (WNEL) was an Australian female auxiliary and training organisation of the World War II-era that was based in Brisbane. It was established in 1938 and provided volunteers with training in first aid and other skills which were seen as being relevant to Australia's war effort. Following the outbreak of the Pacific War members of the organisation were attached to the US military units in Australia as transport drivers and clerks. They also undertook mine watching and other tasks. The organisation ceased to exist in or about 1947. Air Marshal Sir Richard Williams, is widely regarded as the "father" of the Royal Australian Air Force (RAAF). He was the first military pilot trained in Australia, and went on to command Australian and British fighter units in World War I. A proponent for air power independent of other branches of the armed services, Williams played a leading role in the establishment of the RAAF and became its first Chief of the Air Staff (CAS) in 1922. He served as CAS for thirteen years over three terms, longer than any other officer. The Women's Auxiliary Air Force (WAAF), whose members were referred to as WAAFs, was the female auxiliary of the Royal Air Force during World War II, established in 1939. At its peak strength, in 1943, WAAF numbers exceeded 180,000, with over 2,000 women enlisting per week. I was given an office containing two tables, one chair, one form, one telephone and nothing else and told to get on with it... Luckily I had been associated with the R.A.A.F. since its formation when my husband was one of the original officers so knew most of the senior officers and my way about generally. 1 2 3 4 5 Thompson, Joyce. Bell, Mary Teston Luis (1903–1979). Australian Dictionary of Biography . National Centre of Biography, Australian National University. Retrieved 30 December 2018. ↑ "Bell, Mary Teston Luis". World War 2 Nominal Roll. Retrieved 30 December 2018. ↑ "Bell, John Renison". World War 2 Nominal Roll. Retrieved 30 December 2018. ↑ "Women in Air Force". 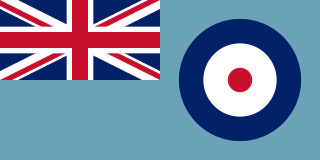 Royal Australian Air Force. Archived from the original on 20 July 2008. Retrieved 10 April 2016. Air Chief Marshal Sir Charles Stuart Burnett, was a senior commander in the Royal Air Force during the first half of the 20th century. He was Air Officer Commanding Iraq Command during the early 1930s. During the Second World War, he served as Chief of the Air Staff of the Royal Australian Air Force. Air Commandant Dame Felicity Peake DBE was the founding director of the UK's Women's Royal Air Force (WRAF). She started flying when her first husband took up the hobby in 1935, but in 1946 became the first director of the Women's Royal Air Force (WRAF). She was Honorary ADC to King George VI from 1949 to 1950. Joan Daphne Mary Pearson was an English Women's Auxiliary Air Force NCO and later officer during World War II and one of only thirteen women recipients of the George Cross to date, the highest medal for gallantry not in the face of an enemy that can be awarded to a citizen of the United Kingdom. Corporal Betty Cameron was an Australian World War II servicewoman and WAAAF activist. Born as Elizabeth Katherine Twynam-Perkins, she was educated at Fort Street Girls' High School, Sydney and obtained her Leaving Certificate. From 1938 to 1940 she was a lady cubmaster. Air Vice-Marshal Joseph Eric Hewitt, CBE was a senior commander in the Royal Australian Air Force (RAAF). A Royal Australian Navy officer who transferred permanently to the Air Force in 1928, he commanded No. 101 Flight in the early 1930s, and No. 104 (Bomber) Squadron RAF on exchange in Britain shortly before World War II. Hewitt was appointed the RAAF's Assistant Chief of the Air Staff in 1941. The following year he was posted to Allied Air Forces Headquarters, South West Pacific Area, as Director of Intelligence. In 1943, he took command of No. 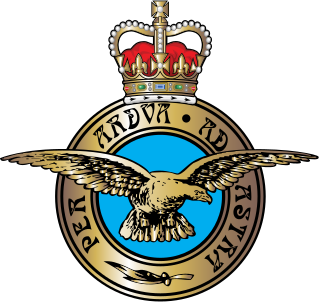 9 Operational Group, the RAAF's main mobile strike force, but was controversially sacked by the Chief of the Air Staff, Air Vice Marshal George Jones, less than a year later over alleged morale and disciplinary issues. No. 5 Elementary Flying Training School was a Royal Australian Air Force (RAAF) pilot training unit that operated during World War II. It was one of twelve elementary flying training schools employed by the RAAF to provide introductory flight instruction to new pilots as part of Australia's contribution to the Empire Air Training Scheme. No. 5 EFTS was established in June 1940 at Narromine, New South Wales, and primarily operated Tiger Moths. It ceased training in June 1944, after more than 3,700 students had passed through. The Women's Auxiliary Air Force was the female auxiliary of the Royal New Zealand Air Force during the Second World War. Established in 1941, it began with an initial draft of 200 women, reaching a peak strength of about 3,800, with a total of about 4,750 women passing through its ranks, of who more than 100 achieved commissioned officer rank. Air Commandant Dame Mary Henrietta Barnett (1905–1985), known as Henrietta Barnett, was a senior officer of the Women's Royal Air Force (WRAF). From 1956 to 1960, she served as its Director. Margaret Adams was an Australian aviator. Dennis, Peter; Grey, Jeffrey; Morris, Ewan; Prior, Robin (2008) . The Oxford Companion to Australian Military History. South Melbourne: Oxford University Press. ISBN 978-0-19-551784-2. Hasluck, Paul (1962). Australia in the War of 1939–1945: Series Four (Civil) Volume I – The Government and the People 1939–1941. Canberra: Australian War Memorial. OCLC 459798950. Stephens, Alan (2006) . The Royal Australian Air Force: A History. London: Oxford University Press. ISBN 978-0-19555-541-7. Tramoundanis, Despina (1996). "The WAAAF at war" (PDF). In Mordike, John. The Home Front – Mainland Australia and the Southwest Pacific Area 1939–1945: The Proceedings of the 1995 RAAF History Conference. Canberra: Air Power Studies Centre. ISBN 978-0-642-24551-9.